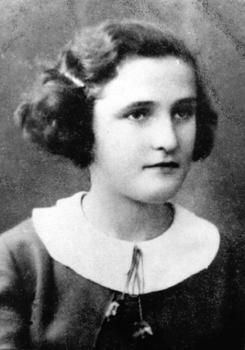 Holocaust Survivors: Photo Gallery - "Eva Galler at 14"
Eva Galler at age 14. She was one of 8 children. Her father had 6 children by his first wife.